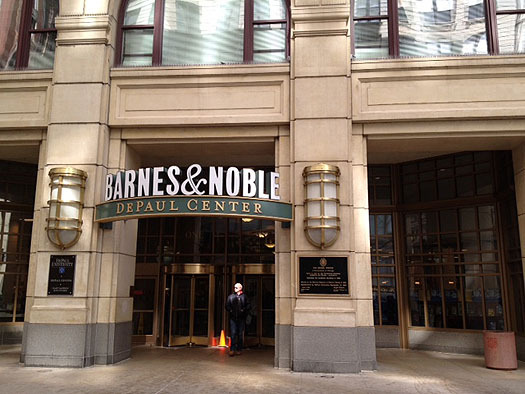 DePaul University will close its downtown Loop campus from May 18 through May 21 because of the G8/NATO summits, the school announced. In an email to faculty and staff, University Provost Helmut Epp wrote that the school will close for four days "because of the traffic congestion and disruptions anticipated in and around the Loop during the summits." "There will be no access to Loop offices or classrooms," he wrote. "The Loop Campus will reopen on Tuesday, May 22. Faculty scheduled to teach in the Loop on any of those days should watch their email for information on making alternative arrangements for affected class periods. "Your options will include relocating Friday or Saturday classes to designated classrooms in Lincoln Park, rescheduling Monday classes for a weekend, creating an alternative assignment for students to pursue on their own in place of class or delivering instruction online for any of these days." Earlier this month, DePaul announced it was moving back its annual student FEST 2012 celebration and concert on its Lincoln Park campus because the date coincided with G8/NATO. DePaul's law school also moved its graduation date because of the summit. Columbia College Chicago, just two blocks south of DePaul's Loop campus, will finish its spring semester by May 5, three weeks early, but plans to be open during the summits. For the latest updates, including FAQs, from DePaul on how the summits will affect the university, visit the Newsline Online's G-8/NATO summits information page. Check this interactive map frequently for updated closures and postponements.